Natural Apple Cider Vinegar is made by crushing fresh, organically grown apples and allowing them to mature in wooden barrels. This boosts the natural fermentation qualities of the crushed apples, which differs from the refined and distilled vinegars found in supermarkets. When the vinegar is mature, it contains a dark, cloudy, web-like bacterial foam called mother, which becomes visible when the rich brownish liquid is held to the light. 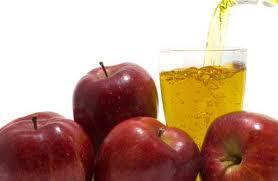 The mother can be used to add to other vinegar to hasten maturity for making more Apple Cider Vinegar. Natural vinegars that contain the mother have enzymes and minerals that other vinegars in grocery stores may not have due to over-processing, over-heating, and filtration. Raw Honey : Contains 5,000 live enzymes, a full range of vitamins, 22 amino acids and 27 minerals. Ginger : Contains eighteen amino acids, including the ten classified as essential and that must therefore be obtained from food. Lime : It is rich in vitamins, calcium, potassium, carbohydrate, fat and proteins.